This is our parish’s men’s society. 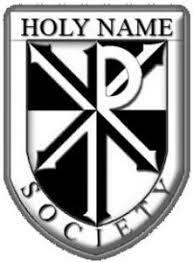 The Holy Name Society supports the parish spiritually, socially and through stewardship. Some of its activities include evenings of reflection, social gatherings, planning parish breakfasts, and sports related events. Who: Open to all men of the parish. When: Meets monthly on the second Tuesday in the parish hall.